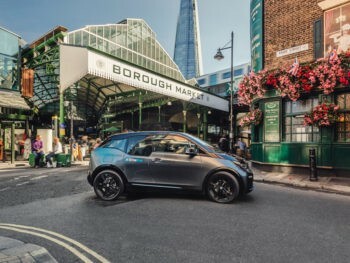 BMW has updated its DriveNow car sharing service in London with the addition of 130 new electric BMW i3s as it moves towards its aim of an 80% all-electric club by 2025. The new i3s join the existing 50 on the fleet and will be available across a total of nine boroughs in the capital. From April, the older BMW i3 models on the fleet will start to be phased out. The move follows DriveNow’s expansion last year into five new London boroughs – Westminster, Barnet, Tower Hamlets, Southwark and Brent. As a result, London is now the largest city of operations for DriveNow.